CaptureFit (founded 2016), born in Cape Town, South Africa, is an online platform which provides online registration, live leaderboards and heat management for online and offline fitness events. 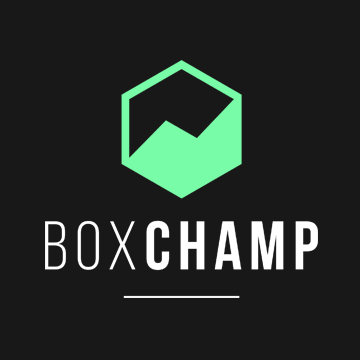 Our platform takes the stress out of organising and running any event big or small, local or international. It gets rid of manually managing athletes, workouts and scores in excel spreadsheet craziness. 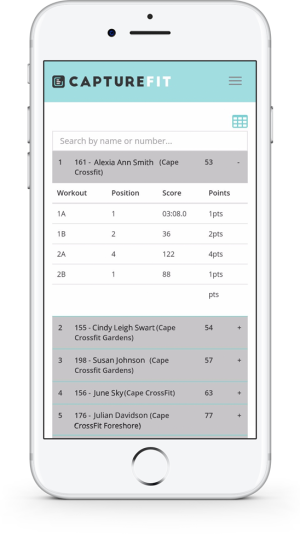 It works in on any device and is optimized for mobile devices, so your athletes can sign up from anywhere or their friends can follow your event standings from the comfort of their own home, when they can't attend the event. Works on different scoring types, CrossFit Games style scoring is one of them. Counting reps, weights, times. Lowest / Highest wins. You choose. We also help you find volunteers and judges for your event. PayFast and Stripe payment integration which means we support over 135+ different currencies. Some of our payment methods consists of credit cards / cheque cards / InstantEFT. You own your own account. Did we mention real-time scoring? No need to install a special app. In-person Training and training material on how to manage registrations and scoring. And friendly support and quality client service comes with it. Host your fitness event with us?